A large body of evidence now exists to show that the raids are heavy-handed, disproportionate and simply amount to “fishing” for immigration offenders in ethnic minority communities. Yesterday 22 October, dozens of shop workers, waiters, and restaurateurs in London’s Chinatown stopped work in protest at a spate of what they called “racist” raids on businesses in the popular tourist attraction. 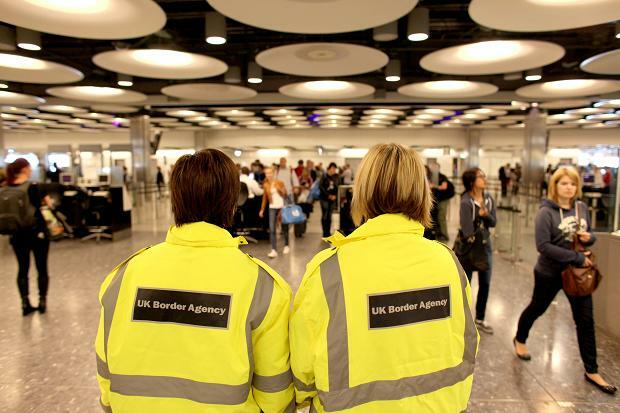 In many of them, UK Border Agency enforcement officers failed to follow proper procedures and in one instance even entered and searched the wrong establishment. Workers complained of being pushed around and subjected to unnecessary interrogations. The IHRC has written to the Immigration Minister Mark Harper asking for an investigation into the incident which we believe was based on racial profiling, discriminatory and undertaken without a necessary warrant. Last week, a raid in Preston in north-west England on a halal poultry producer involved some 60 officers and disrupted work for four hours, also leading to serious animal welfare concerns for chickens in the process of being slaughtered. Officers arrested two out of over 100 staff, of which only one turned out to be an illegal migrant, here on a false passport. The raids are part of the coalition government’s stated aim of making Britain a “hostile environment” for illegal immigrants. However they appear to be driven by supposition and hearsay rather than solid intelligence. The enforcement officers carrying out the raids are also poorly trained having in most cases undertaken just three weeks training for the job. The IHRC workshops, entitled Know Your Rights, will be rolled out across the country in the coming days.